It’s often said that one man’s junk is another man’s treasure. 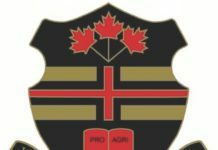 But in this case, two levels of government and the Kemptville College alumni are fighting over memorabilia that some are saying is hardly anyone’s treasure. We’re talking about three pickup truck loads of mostly old trophies and framed black and white class photos. They were little pieces of history about to be thrown in dumpsters when the Kemptville College alumni swooped in and claimed all the boxes for a museum they want to build at Lombardy, near Smiths Falls. They’ve even raised the $30,000 to build it. The former agricultural college introduced its first agricultural course in 1918 and graduated its last ag students in 2015. Alumni members collected and drove off with the memorabilia, some of it found in campus building basements. But they had a problem — nowhere to put all that stuff. So, they signed an agreement with the province to store the memorabilia back on campus on the first floor of Purvis Hall, a floor below the former library. 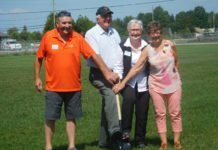 The province then began preparing to hand much of the college campus — 34 of 50 buildings and 633 acres of 837 acres — to the local township of North Grenville and threw in $7.7 million to fix it up. Alumni members heard rumours about the ownership transfer and arrived on campus on March 9. They borrowed keys to check on their loot and then loaded it all into a U-haul truck. But a township representative had harsh words for alumni president Audrey Baker when she brought back the keys and explained that they had made off with the trophies and frames. Intimidated and fearing trumped-up charges of theft, the memorabilia, like the big fish that keeps getting away, was returned to campus again. The signed agreement required the government to give the alumni 30-days notice to move out the memorabilia if the college changed owners, which it did. As for giving 30-days notice, the province didn’t. The alumni got a lawyer to draft the agreement in the first place because, surprise, surprise, the alumni didn’t trust the Liberal government. 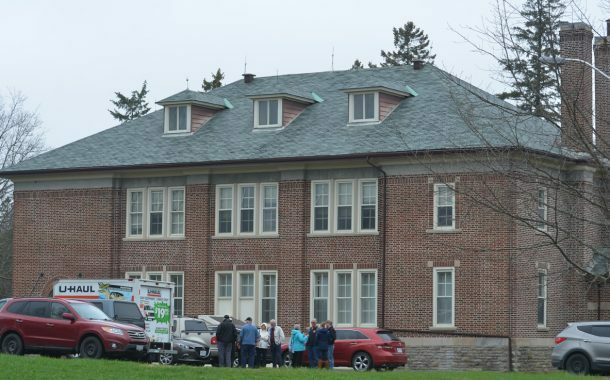 The township of North Grenville, with its head office in Kemptville, took ownership of the grounds on March 30 and on May 2 about 12 alumni members went back to the college campus with another rented U-haul to meet with township CAO Brian Carre in hopes of getting their memorabilia for the third time. They didn’t even get a how-do-you-do. The township CAO arrived at the campus, hopped out of the township truck, and immediately began yelling at this reporter to stop taking photographs. I also took photos of the “treasure” that everyone is fighting over inside. But not without first being told by two nervous-looking provincial workers that I had to leave and not take photos. What’s the big deal? The big deal is that the township now says it’s keeping everything. Alumni past president Ron Burgess is livid. He is angry with the province and the township. If the memorabilia belonged to the province, Burgess asked, why was the alumni allowed to take the memorabilia in the first place and why did the province agree to sign a storage agreement? He added that it now appears that the township wants to create its own historical site for the memorabilia. To help, call Ron Burgess at 613-624-5479. This is a one-sided diatribe that is peppered with antigovernment rhetoric. NG Times.. be careful whom you give your spacd to. What are the Municipality’s plans? How does this fit into the Plans for KCAT? Why is Lombardy a reasonable site to take KCAT treasures to? What is the substance of the Alumni Group? Are they an official group that represents all Alumni well? And what is the recognized role of Farmers Forum? Christopher, you must surely have heard of Farmers Forum, as it began in Kemptville and is run by people well-known throughout eastern Ontario. The Forum is the major farmers’ publication in the region. People interested in the College and the issues know this. It is hard to know from your comments precisely what your point is. What government is being ranted against here? The Alumni Association is the official organisation for College alumni (hence the name), and the issue is not what plans the Municipality may have, it is where legal title to the collection lies.